Best friends in a band, singing together. Right up to the finals of Killer Act when the judges tell them one of them must go. Suddenly their friendship is put to the ultimate test on TV in front of millions. Can they ever forgive each other? Sasha, Rose, Nell and Jodie are best friends. They are usually dancing around in their bedrooms, filming funny videos and singing. That is, until someone steals Sasha's iPhone - which just so happens to have videos of the girls singing on it. A couple of days later, the video has gone viral, and the girls' friendship starts to unravel. The cover is gorgeous and it definitely stands out in a shop. In real life, it's shiny and it looks like it's glowing which is really cool. 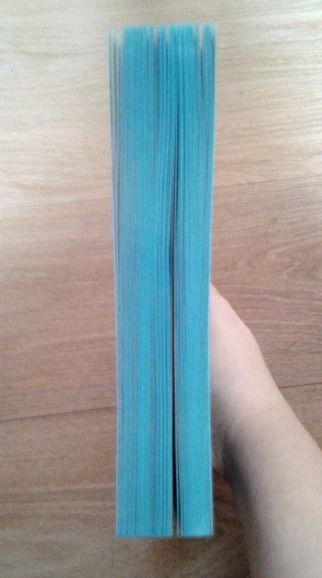 Also, the edges of the pages are sprayed blue, which looks good! The characters were really fun to read about and there were a few really surprising twists. I really liked Dan (one of the love interests) and scenes that included him were great! Sasha was relatable although I think I would have acted a lot differently if I had been in her situation. 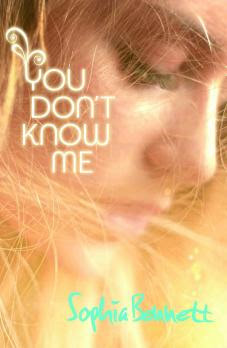 'You Don't Know Me' is set in a fictional town called Castle Bigelow and it was described so well that I felt like I was there. Mrs Venning's vintage shop sounded really lovely and I wish it was real so I could go inside! It reminded me a bit of Cornwall, and that's one of my favourite places so that's a plus. I've been a fan of Sophia Bennett's books for a few years now so I was so excited when I received this to review. Her other books have always been fantastic and this one was no different. This is a must read, especially for summer. It's perfect for reading on the beach and if you don't read it, you're missing out, big time! Fabulous, poignant and relatable! 5/5. Fabulous Review Amber! After The Look became one of my favourite novels I have been itching to get my hands on this blue sprayed book. It's sounds great and I'm not surprised it didn't disappoint. I'm terrible at requesting ARC's any tips on how and who I should request "You Don't Know About Me". Thanks for your comment! I didn't request this, it was just sent to me from the publisher randomly. I suppose you could email Chicken House, their email address is likely to be on their website somewhere. Great review, and I'm glad you loved this as much as I did! Thanks Maya! Glad you enjoyed the review and the book! I know! :D Thanks Rebekah!